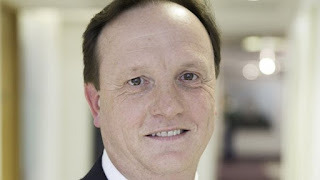 Mothercare chief executive Mark Newton-Jones has stepped down and been replaced by David Wood, former group president of US grocer Kmart Holdings. Mr Wood has also held a number of commercial, marketing and management positions at Tesco. Mr Newton-Jones joined Mothercare as interim boss in March 2014 and as permanent chief from July that year. The baby goods retailer, which releases latest trading figures next week, has had a troubled start to the year. Last month, it warned on full-year profit, and the firm also experienced a sales slump over Christmas. Shares in Mothercare were down nearly 3% in late morning trade in London, at 17.72 pence.